With 30 years of service with Federation of Organizations, Philip Matcovsky serves as the agency’s Chief Operating Officer, a position he has held since 1997. In this role, Mr. Matcovsky serves as the day-to-day leadership of agency operations and general management. As COO, he has helped establish Federation as one of New York’s leading providers of care through the many varied programs and services they offer. 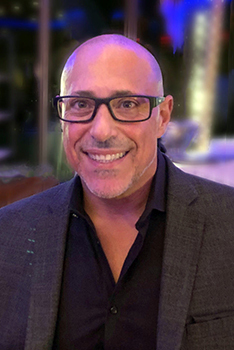 A seasoned professional, Mr. Matcovsky began his career with Federation in 1987 as a counselor working with homeless individuals, young adults, and seniors. He rose through the ranks holding positions as Coordinator, Program Manager, Director of Community Services and now COO. He has served as a member of the Long Island Cares Advisory Committee, the Community Advisory Council at Suffolk Community College, and the Patchogue/Medford School District Citizens Advisory Committee for Community and Continuing Education. Mr. Matcovsky has held faculty positions at Stony Brook University and Suffolk Community College and has presented at St. John’s University, The New York Association for Psychosocial Rehabilitation Services and the United States Psychiatric Rehabilitation Association, among other venues. Most recently, Mr. Matcovsky was the recipient of The Network for Social Work Management’s Exemplar Award for excellence in Social Work Management, as well as Long Island Business News’ prestigious leadership award, Around 50. Mr. Matcovsky is a Licensed Master Social Worker and a Certified Psychiatric Rehabilitation Practitioner. He holds a Master’s Degree in social work from the Stony Brook University School of Social Welfare.